Situated by the river Danube, Szentendre is the favourite day-trip destination of people living in Budapest. The small town also offers exciting programmes and events for families with children. Here are some ideas. One of children’s favourite places in Szentendre is the Danube bank, where they can play, ride their bike or perfect their stone-skipping skills on the water. Once you have soaked up the beautiful view and fed the mallards, head for the town centre. The highlight of the day could be an ice-cream in one of the cake shops in the centre. If it’s the second Sunday of the month, then it’s FMC Family Day. 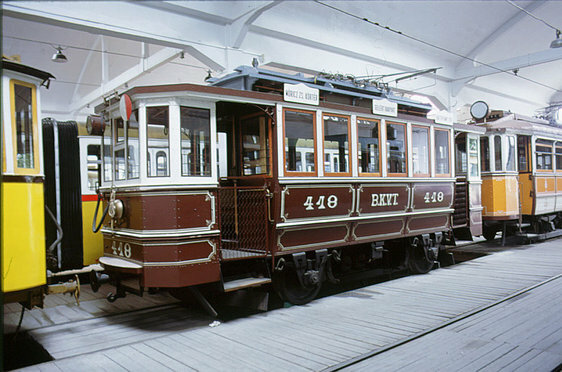 While children are shown around the exhibitions by museum education specialists and they can try their hand at different artistic techniques, parents can visit the permanent and temporary exhibitions. When in Szentendre, don’t miss the Urban Public Transport Museum at the train terminal. You can get on almost all the vehicles in the indoor museum, which is a good programme on a rainy day, too. A place where time stopped in the 80s. If you would like to tell our children how you or your parents spent their childhood and what were your favourite toys and sweets, then do not miss this exhibition. The Marzipan Museum right next door to Szamos Pastry Shop is the country’s first marzipan exhibition. In addition to learning about the history of confectionery and marzipan making, you can find marzipan figures of cartoon characters and famous people. 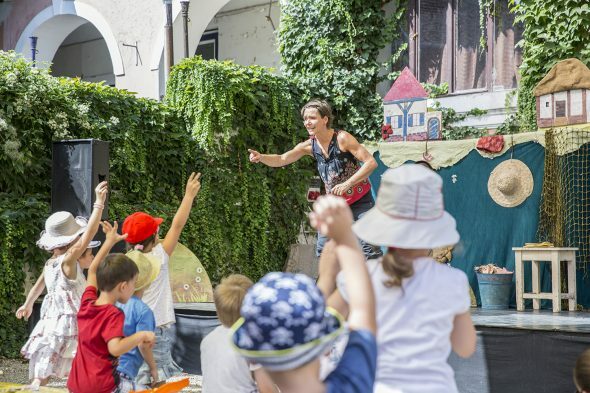 Theatre performances and children’s plays await the youngest in Szentendre during the summer. Morning matinee performances are held in Dunaparti Cultural Centre every Sunday morning. There’s always something exciting going in the Szentendre Skanzen. Young children will surely enjoy children’s adventure points: the general store, the photographer’s, the game yard, the Magic Barn, the Tale Garden Playground and the Children’s Farm but they will also like riding the Skanzen train with the engine driver and ticket inspector wearing a contemporary uniform. The small shop opposite the Town Hall is an especially innovative place with a tasteful interior where apart from children’s books and toys, children and parents can also find a real ‘party place’ where there’s always something happening. Life is sweet opposite Szamos Pastry Shop, too. The small chocolate shop was opened in 2003 and has all kinds of chocolate you can imagine. 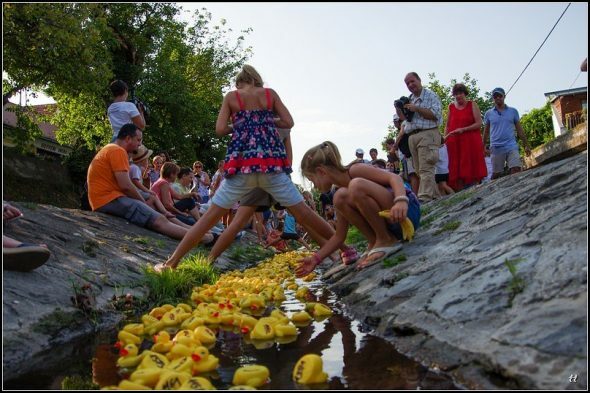 The most spectacular children’s programme of the Szentendre Open Around the Clock Festival at the last weekend of the summer is the duck floating on Saturday afternoon on Bükkös Stream with the ‘participation’ of 1000 yellow rubber ducks.